Oh yeah, Shav. Shoot those free throws. Your free throw game is looking tyte, bro. You know it too. I see you, pursing your lips trying to act all nonchalant when it's pretty obvious that this is your thing. Free throws, man. Child's play. The haircut, the scraggly armpit hair, the dusting of actual arm hair that makes you look like your glowing? Super fresh. Super. Fresh. You look like a regular Michael Doleac out there. I can't be mad at you, Shavlik. You know what's up. Feelin' it. 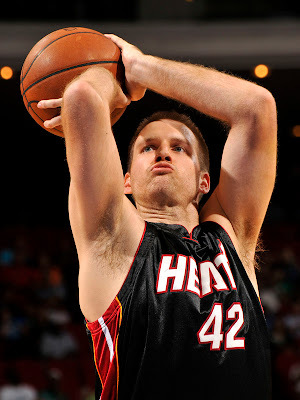 When he shoots FTs, Shavster can just chill and be himself without anyone bringing the gayness.